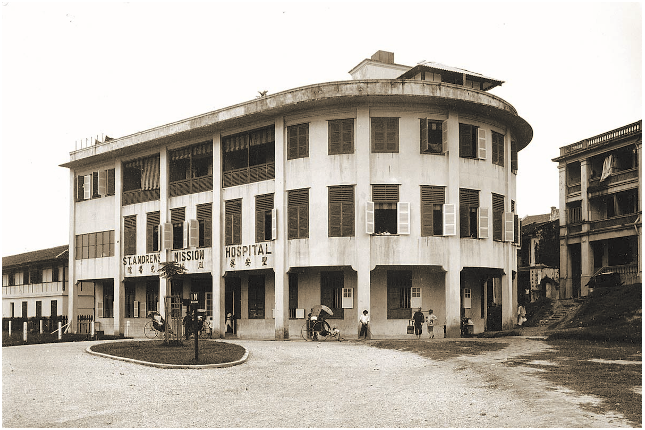 St Andrews Mission Hospital was officially opened on 18 October 1913 by Lady Evelyn Young, the wife of the Governor of the Straits Settlements. The dispensary, served countless women and children, especially the poor. Dr. Davie, its resident doctor, had served in India as a medical missionary before arriving in Singapore. Moved by the plight of poor women and children in Singapore, she began the dispensary. The clinic was so well received that by 1915, two more similar clinics were set up to serve the needy. One opened in 1914 along Upper Cross Street, and the other in 1915 at Pasir Panjang. Dr. Charlotte Ferguson-Davie is the pioneering provider of healthcare for women and children. She set up this clinic which was a precursor of St Andrews Mission Hospital. Her own pioneering medical work in Singapore began in 1913, when Charlotte founded the St. Andrew's Medical Mission, and set up a clinic at 220 Bencoolen Street to provide specialised healthcare for women and children. Recognising that local women were uncomfortable about being treated by male doctors, she enlisted the help of female doctors to care for them. She aimed to meet not only their physical needs, but also what she perceived as their spiritual needs. 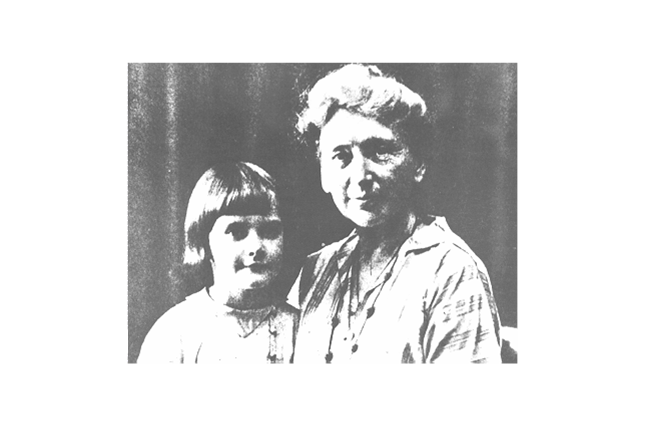 Over the next decade Charlotte opened more clinics and, in 1923, she founded St. Andrew's Mission Hospital (SAMH) for women and children. This sixty-bedded hospital was quickly filled, and before long there was a waiting list. Charlotte then set to work training locals in a new three year nursing and midwifery programme. Because of Charlotte, SAMH became one of the earliest institutions in Singapore to offer courses in general nursing for Asian ladies. In 1924, services within SAMH were greatly expanded to include specialist clinics in addition to general care for women and children. A venereal disease clinic was also opened to care for the women exposed to sexually transmitted diseases due to rife prostitution.Charlotte’s vision of care and compassion has been enduring. Throughout its existence, the goal of the St. Andrew’s Medical Mission has always been to meet the healthcare needs of society’s most vulnerable. Janet Lim is the first local hospital matron and best-selling author. Janet Lim trained at St Andrews Mission Hospital in the early 1940s and became Singapore’s first Asian Hospital Matron in 1954, after she pursued further studies in nursing, in Britain. She is also Singapore’s first Asian Memoirist following her book Sold For Silver. Sold For Silver is a bestselling memoir which recounts Janet Lim’s childhood sale into servitude by her mother, her subsequent journey from abuse and exploitation to freedom and a fulfilling career, as well as her near-death wartime experiences. Maria Dyer is the founder of the first girls' school in East Asia. Driven by compassion and her deep rooted Christian values, Maria Dyer was a pioneering educator. Like many successful teachers of her time, Maria was the wife of a British missionary. She was also responsible for establishing schools throughout the Straits Settlements and in doing so changed the lives of many. In Penang, she and her husband set up four schools. In 1842 in Singapore, Maria founded the Chinese Girls’ School, for poor and orphaned students. The school, which was the first school for girls in East Asia, is now known as St Margaret’s School.